I started Land of Oz Dolls in January of 1979. 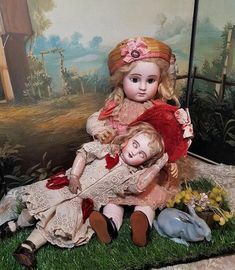 I make Museum Quality Antique Reproduction and Modern Porcelain Dolls. I also carry a complete line of doll-making supplies. It’s the 3rd Day of Christmas and this is what’s on sale! Today’s feature is my German Collection China Paint Set. Our line of china paints are produced to give reliable results each and every time. These china paints contain lead which allows for consistent firings and excellent fluidity. Our paints blend easily and fade less than unleaded china paints during firing. All of our china paints should be fired to cone 018. When doing many multiple firings I do fire to 019 and then evaluate on the last firing if I need to fire one last time to 018. 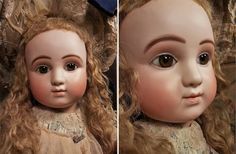 The German Collection can be used for all types of German dolls including “Mein Liebling”, “Hilda”, and many of the “Heubach” children. The collection consists of German Wash, German Eyelash, German Light Hair, German Dark Hair, German Light Brow, German Dark Brow, German Lip, and German Lip Shading and Cheeks. Regular Price on the German Collection Paint Set is $54.00. From today until December 20th, it is on special for $40.00 for the set of 8 colors. I have multiple sets available so this offer is not limited to one. Please email me at landofozdolls@mchsi.com to place your order. Please do not order from the China Paint page on this website as it will not give you the sale price. Until tomorrow, have a great dolly day! 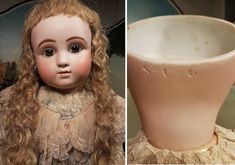 Online Porcelain Doll Classes Starting!!! I also have some of my most popular doll making supplies back in stock! My three CD Workbook set is back and on sale! These include one on painting a Jumeau, a Bru, and Modern Eye Painting. These CD’s have been available before so if you already have some from me they are the same just back in stock again! The CD Workbooks are step by step full color instructions and photos that guide you through the steps for the complete doll. 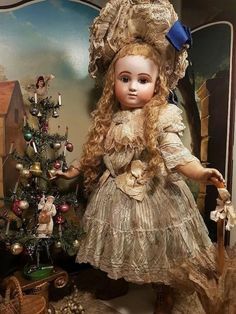 This year I am hoping to complete a new CD on the AT11, one of my favorite antique reproduction dolls. Here is a link to the CD’s: https://landofozdolls.net/cd-doll-making-workbooks/creating-the-perfect-bru/ Just scroll to the bottom of the page of the individual CD’s and the set on sale will be at the bottom of the page. It has been a pleasure to share with all of you tonight some of the things going on at Land of O Dolls. 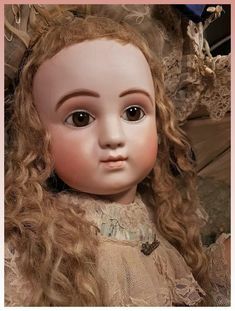 Please let me know if you are interested in online doll classes it will be a fun and educational learning experience and a way to meet new doll making friends! Email me at landofozdolls@mchsi.com for further info. Have a great evening! Until next time!